The Original Nylon Backpack in classic black is a fun but functional everyday bag. 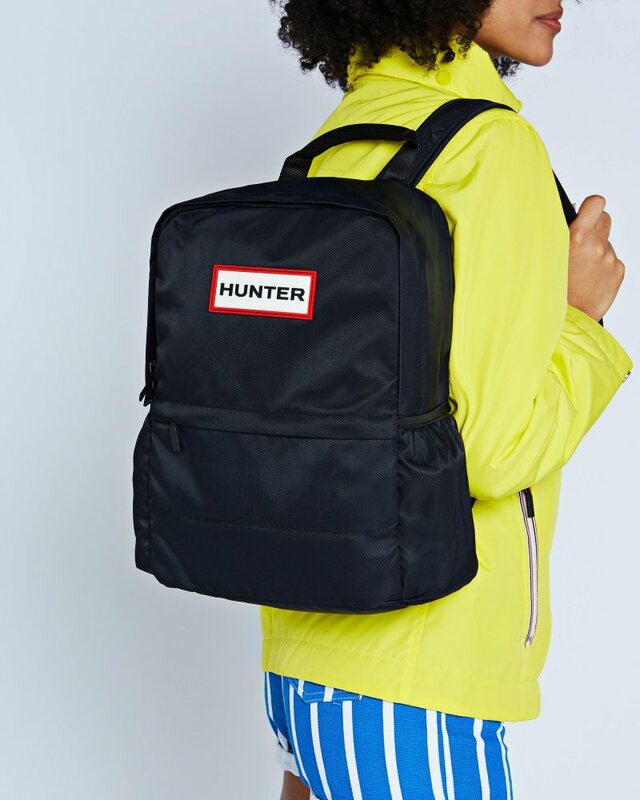 This neat and compact zip-around rucksack is crafted from a water-resistant fabric with an additional water-resistant lining to protect belongings from getting wet in the rain. A padded internal sleeve offers a safe space for a 13.5" laptop, making commuting a breeze. The backpack features a total capacity of 16L, giving plenty of space for everyday essentials.